Earlier I posted the drawing for this painting, and now, here is the painting! This was done as a custom order and a trade with a friend. 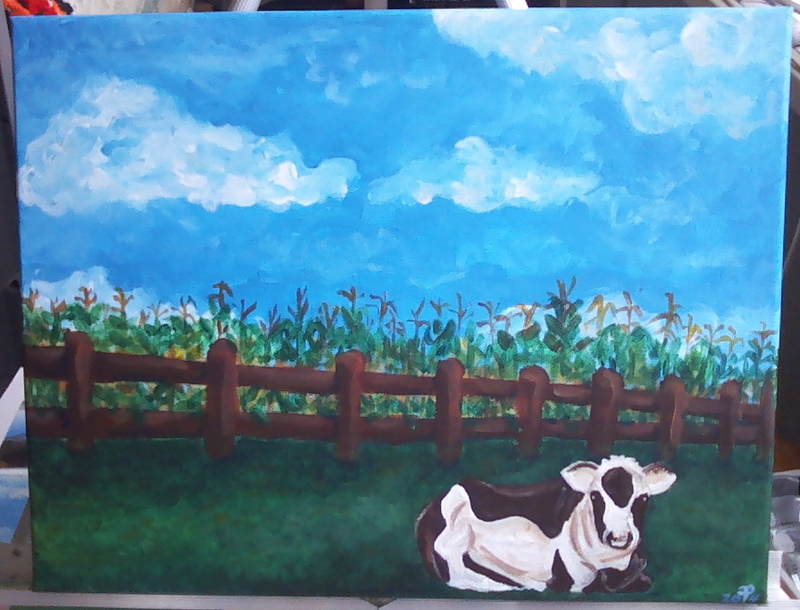 She wanted the colors of the sky, fence, and grass to be those of a painting from a Paint and Sip type of class project that she couldn’t attend. She added the corn and the cow. This is 11×14 in acrylics.